Welcome to Day #12 of Chocolate and Spice Theme Week. 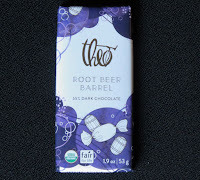 Today's Organic Root Beer Barrel 55% Dark Chocolate bar was from Theo Chocolate, Inc. (Seattle, WA). Fifty-five percent cacao fair trade chocolate was full of tiny bits of root beer flavored brittle (flavored with a "Root Beer Oil Blend"*). 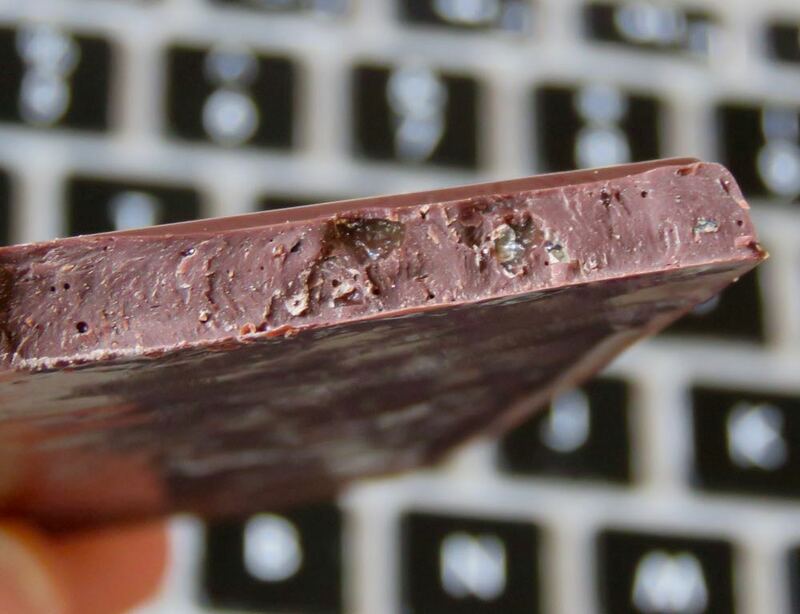 The brittle created authentic sparkles of root beer flavor. 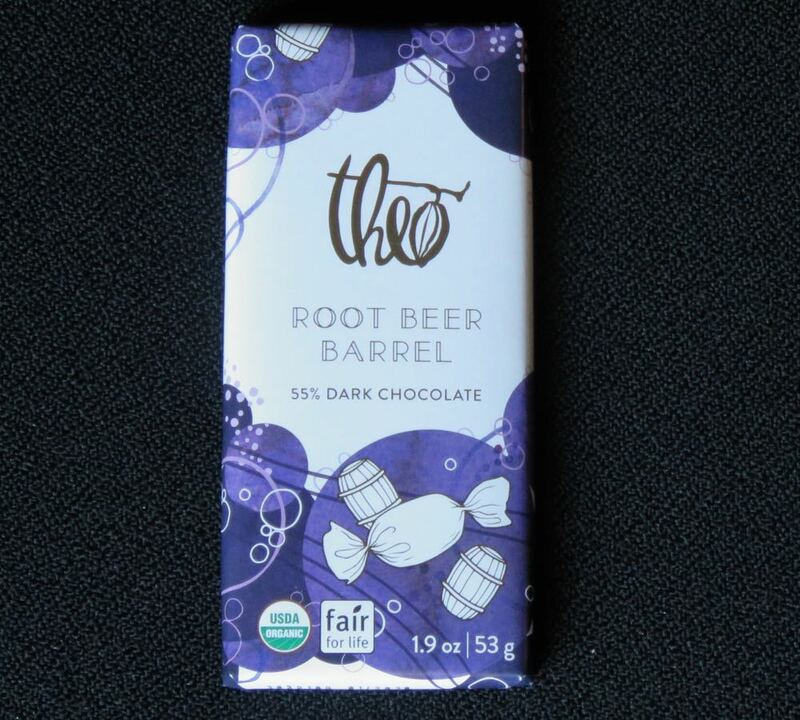 Yes, this bar was sweet; but positive memories of drinking root beer floats as a child helped uplift this tasting experience. Ground vanilla bean helped provide extra flavor and warmth to this blend. *Old-fashioned root beer recipes in North America date back at least to the 1800s. Root beer beverages were flavored primarily with sassafras, and other herbs, roots and bark (e.g. birch oil). Sassafras is a deciduous tree native to North America. The roots of this tree apparently have a sweet, spicy flavor to them. Roots and bark from this tree were used to make "tea" and beverages. Subsequent concerns about a substance (safrole) found in sassafras led to restrictions on its use. Most root beer beverages today use the root of/extracts from the sarsaparilla vine and other flavorings (wintergreen, cloves, anise, etc.) instead.